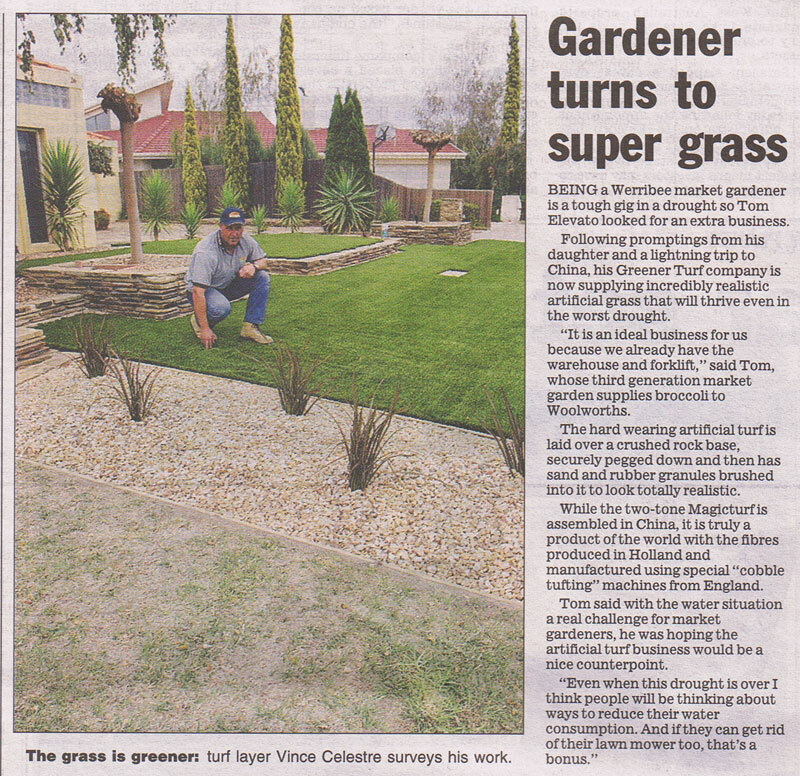 Greener Turf Co. is an Australian family owned and operated company. The company strives to provide efficient, personal, and credible service with products we believe exceed the current market standard. Greener Turf Co. is the supplier of artificial turf imported from one of the leading manufacturers overseas which have attained ISO9001 and ISO14001 certification. Their products are already widely used across Europe and the United States. More than 5 million square meters of their artificial turf has been successfully installed in sporting fields around the world including America, Brunei, Brazil, Mexico, India, Saudi Arabia, Thailand, Turkey and Venezuela where it has withheld the different climate conditions and proved its durability. We strive for 100% professional service and products at afforable prices. Greener Turf Co uses synthetic turf which is produced using computerised ‘Cobble Tufting’ machines from the United Kingdom, the advanced production technology and process guarantee the highest quality. Our turf has high quality imported grass yarn making the synthetic turf very durable, also our artificial grass has a high-wear resistance and a high UV stability.